HOUSTON, TX -- Is the wilderness walk an important step in a Christian’s life? Of course it is! A failure to recognize it will leave many standing astonished asking, “Why did this happen to me?” Yet Church leaders never really teach or preach about this part, in church. Today’s churches must either be entertaining to keep the pews full, or make their congregations feel good so their sins do not appear so sinful. Because of this, vital key steps—that lead Christians to purify the wood, hay, and stubble from their hearts, so that maturity takes place within their souls—are lacking from today’s teaching. 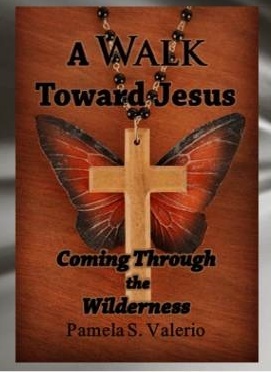 Within the pages of Pamela S. Valerio’s new title, A Walk Toward Jesus: Coming Through the Wilderness ($15.99 Paperback 978-146-115788-5 and $5.99 Kindle), the author shares with the reader key aspects that will lead them into victorious living. Valerio, a wife and mother of three children, says that the experiences in the book are drawn from real life journeys that God allowed to come into her life. In 2002, she suffered a life-changing injury while writing this book; the publishing of it represents a victory in Christ Jesus to her. “I don’t try to cover up the fact that I am a Christian, yet I stand in battle,” she explains. “I feel I bring a real voice to the table that exposes key operations of the enemy in the life of a believer.